This is a very generously sized and elegant Burgundy glass from the Vinalies range and is formed of Lead-free Crystal Glass. 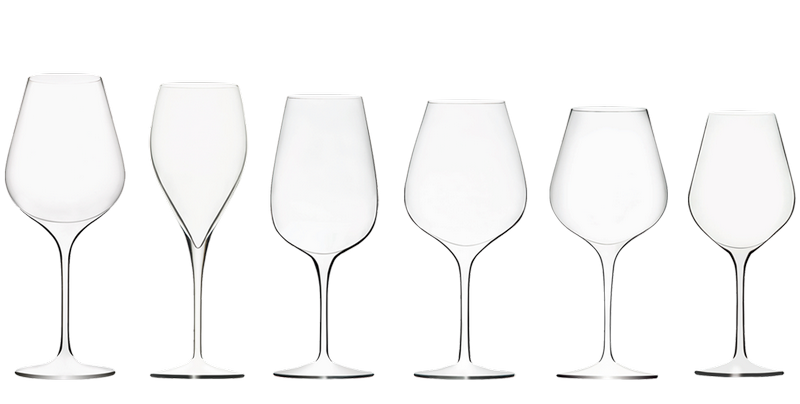 The initial Vinalies range of glasses represented a unique concept of 3 oenological glasses; a red, a white and a sparkling wine glass, though this range was later extended in order to meet the requirements and expectations of restaurateurs. Vinalies are the ideal wine glass for accurate observation and appreciation of the colour and their lengthy stems help avoid warming of the wine. As for their Classic Curves, they were designed particularly for those who appreciate the aromatic elements at their best.